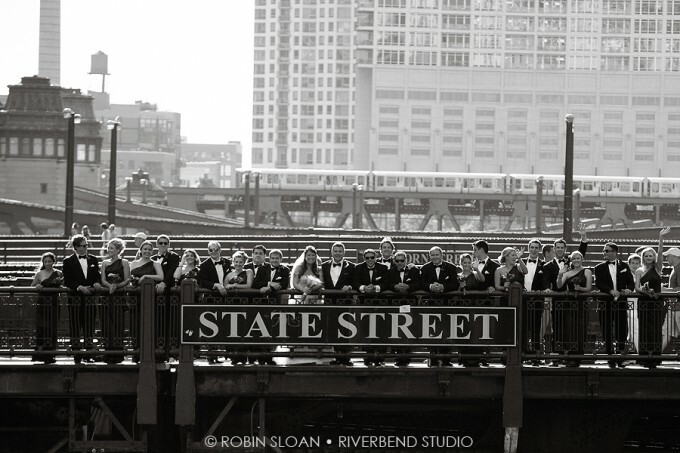 Here in Chicago, we are lucky to have a plethora of amazing locations that are perfect for your wedding day photoshoots. From skyscrapers to green space, Chicago has it all. TIP: As you are working on your wedding day itinerary, don't try to pack in too many locations! 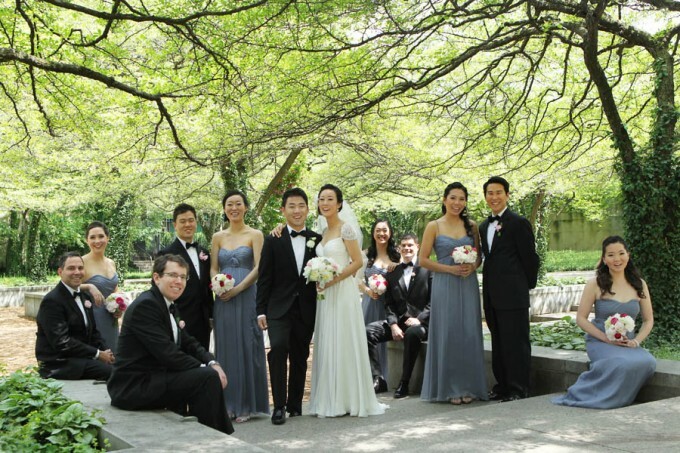 Pick your top TWO favorite spots at most, and then consider their proximity to each other, as well as proximity to your ceremony/reception venue. And then allocate twice as much travelling time from point to point as you normally would... things always run late on a wedding day. It takes much longer to gather and travel with a large bridal party, plus your photographer(s) and maybe your videographer(s). Not to mention when you've booked a limo/trolley/bus, they just are bigger and slower! This little gem is located directly south of The Art Institute of Chicago off Michigan Avenue! Rookery Wedding. Kenny Kim Photography . Sweetchic Events. The South McCormick Courtyard. This well-known Chicago attraction has several photo-op locations! Cloud Gate aka "The Bean"
The Rookery. J Wiley Photography. Sweetchic Events. Millenium Park Cloudgate. The Bean. Chicago History Museum. Tib Tab Photography. Sweetchic Events. Millenium Park Lurie Garden. Chicago Wedding. Wes Craft Photography. Chicago Theater Sign. Your Favorite Chicago EL stop! No matter what side of the street you stand on..the view is gorgeous! Tucked away in Lincoln Park off Fullerton Parkway (between Cannon Dr. & Stockton), I think this spot is one of the most magical locations for photos! Chicago Wedding. Ann & Kam Photography. Alfred Caldwell Lily Pond. 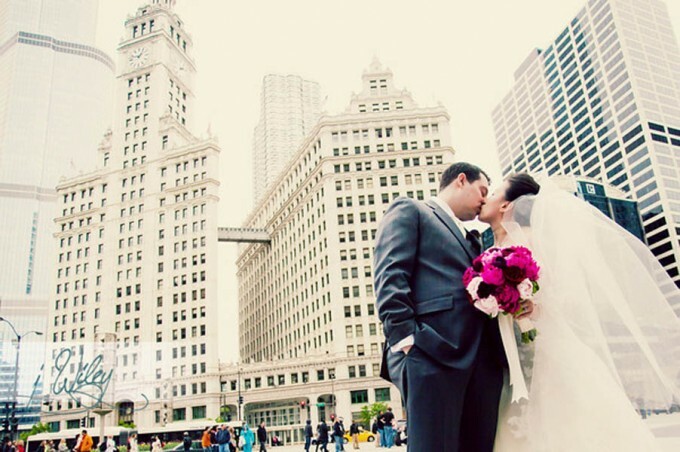 Where in Chicago will you head to take photos on your wedding day? I hope everyone enjoyed your holiday weekend... are y'all recovered from all the EATING?! We just came back from a week-long trip to Italy, so I will have some pics to share later this week, stay tuned! Wow wow wow, are you guys in for some unbelievably gorgeous EYE CANDY today!! Photographer Erica Rose just sent me the link to our fabulous couple, Angela & Phil, who are getting married at the Eaglewood Resort in 2 weeks, and I couldn’t be more smitten with their engagement shoot. 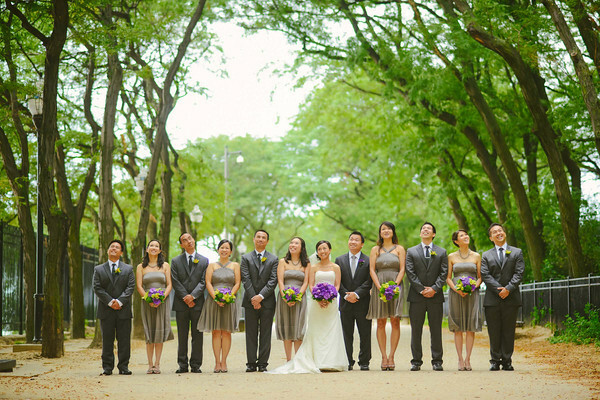 Have you considered a BIG group shot with all (or the majority of) your guests? What better way to commemorate your wedding day and the joining of all of your favorite people in the world! This is easier to manage if you have a guestlist that is on the smaller side, perhaps 100 or less.